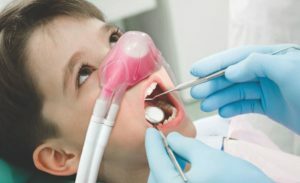 The technique of conscious sedation is ideal for patients with anxiety or fear of dental treatment. The patient will be relaxed and stress free. With conscious sedation, the patient will maintain the ability to respond to our requests and also preserves spontaneous respiratory activity. The dentophobia or dental fear is a very common symptom among the population. According to the latest study by the University of Murcia, more than half of the population, 51% said that it suffers when the query. These fears cause nervousness, anxiety and even become the cause of the patient delay or cancel their appointment with the specialist, neglecting their oral health. Usually this disorder is caused by previous bad experiences, but also some people have phobia without ever happened to the dentist. What do I feel when I go to the dentist? Feeling of loss of control over the situation. “Here I am, sitting helpless in this chair, the dentist is in charge and there’s nothing I can do”. Fear of pain or suffering. “My tooth hurts badly, but I prefer not to go there because I’m sure the dentist will hurt me even more”. Fear because of a bad experience. “No, not again. I had a very bad experience last time and I don’t want to go through the same even though I’m dying of pain”. Lack of confidence. “Will the dentist be good? Will he be sympathetic?”. Fear of the ban. “You’ll see, now they won’t let me eat anything”. Discomfort from the night before. “I think I’ll cancel the appointment. I’ll give any excuse so I don’t have to go, although I can’t even eat…”. Fear instruments. “What they might be doing? The noise I hear makes me sick …”. For waiting in the clinic. “And now I’ll have to wait. Why does it take so long? What is happening to the one inside?”. All these thoughts lead to the desire and need to flee, no appointment, ask for it and cancel it, of late, in short, to escape as the consulting dentist. What is inhalation analgesics or conscious sedation? For all those people who have these or other feelings every time they go to the dentist, CESADEN offers the best solution: inhalation analgesics. 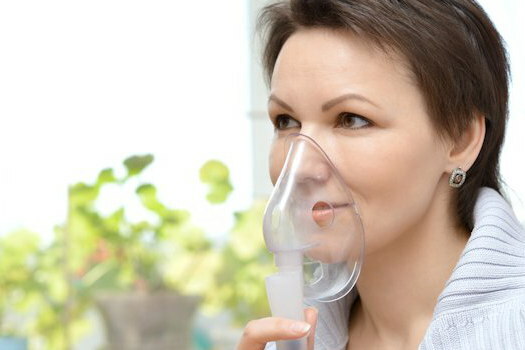 This analgesic method by inhalation eliminates anxiety and makes the patient feel quiet and peaceful without losing consciousness at any time. This allows the patient to undergo the dental treatment calmly and with a positive attitude and the dentist to work safely and precisely. This method was implemented in the USA in 1960s whereas here in Spain CESADEN was the pioneer to put it into practice. This method is used even in pediatrics due to its advantages as far as security, efficiency and rapid recovery are concerned.